GENEVA -- Declining European sales figures have made automakers tighten their belts, but they are still warily circling the politically explosive issue of plant closings. "Obviously, nobody wants to be first," said General Motors Europe President Karl-Friedrich Stracke. The industry is in grave need of "aggressive" restructuring in order for carmakers to make money in Europe, Stracke said in an interview at the auto show here earlier this month. Likewise, Renault-Nissan CEO Carlos Ghosn criticized "some kind of passivity of European car manufacturers" who try to compensate for European losses by pumping up sales in other parts of the world. "There's no leadership in this," Ghosn said. Some automakers look to the European Union to steer capacity reduction. "Addressing excess capacity in Europe is a European Union issue, as the EU is the holder and the repository of the single market," Fiat-Chrysler CEO Sergio Marchionne said. He said addressing the overcapacity issue at a national level will not work, as every government will try to protect its own turf. Meanwhile, automakers are cutting expenses and watching inventories closely. Jim Farley, Ford Motor Co.'s global marketing chief, said Ford is following the same plan it did in the United States over the past few years. "We're really watching our stock levels and making sure that our product plans are in line with the current demand, which is very courageous because what you want to do at this time is sell the capacity you have," Farley said. He said Ford also will push European marketers to shift spending to less expensive digital media as it prepares to launch the B-Max, Kuga and Ranger. "We have to really become a more progressive advertiser with a more progressive media mix towards digital," he said. 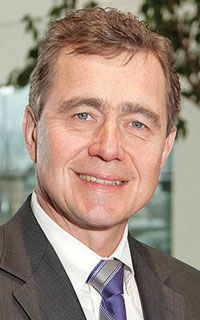 Volvo CEO Stefan Jacoby said the company's product cycle plan is intact. But he is also watching inventory closely. "I have established an early warning system," Jacoby said. "I know on a daily basis how the demand is, how the showroom visits are, how the Internet leads are. This is important these days." Christian Klingler, Volkswagen Group's board member for marketing and sales, said VW has "tools" in place to counter downturns. "We're very close to the markets. We're very sharp on stock control," Klingler said. "We're looking for what is the attitude of customers. We're trying to be very, very, very active and reactive because changes can happen fast." 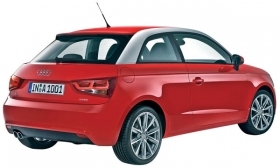 To boost sales of lower-priced models, Audi is increasing availability of the A1 in Italy. Peter Schwarzenbauer, Audi's board member for marketing and sales, said Audi has been aggressive in shifting its inventory mix. In Italy, he said, high-priced cars are "basically not selling" so Audi increased the availability of A1s and A3s. "We now have the possibility to shift pretty quickly toward products that are still suitable for the crisis."